Hand crafted, small batch chilli sauces, relish, pickles and salted caramel chilli fudge. This business started with a love of chilli and cooking, proprietor Liesl has been a chef for 26 years and a few years back started making chilli sauce for family and friends from what her husband, Jason was growing in the garden. Finally in November 2017 Gourmet Outfitters was born and our “The Chilli Chick" range was developed. Made using premium Australian produce, locally sourced where possible. New special edition creations from in season produce also coming to The Chilli Chick line up. 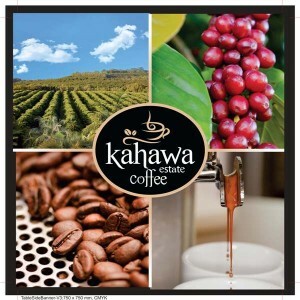 Kahawa Estate Coffee Plantation is located on the Alstonville Plateau in Ballina Shire in the Northern Rivers area of the far north coast of NSW. We are delighted to serve you our premium, locally grown and roasted, award winning, pesticide free COFFEE at the Ballina Food and Wine Festival. Should you get hooked on the day, we will have packets of freshly roasted beans for sale! Zentveld’s are the Australian Coffee Specialists, based on the family plantation in the hills behind Byron Bay. Since 1993 we have been dedicated to producing the finest, most complex Australian coffee blends for cafes, restaurants and retailers. No matter your interest whether it be home brewing beer or spirits, cheese, jerky, bacon, pickle, sourdough, yogurt, kefir, kombucha or sausage making, Low and Slow, Hot and Fast, direct or indirect BBQ we have the gear to do it. 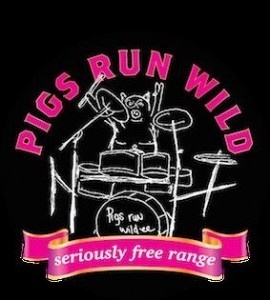 We keep all the ingredients, rubs, sauces, cultures, bottles, chip, chunks, logs and equipment to do it all and if we don’t have it we will get it for you straight away. Whether you are from Ballina, Lismore, Casino, Byron Bay, Wardell, Brunswick Heads or outside of the Northern Rivers we can guarantee you a fantastic experience when you come in store. If you are unlucky enough to live too far away, we send freight all over the country twice a day so give us a call and we will get you sorted! About 12 years ago Bay Seafood, Byron Bay’s local fish store, wanted to expand its retail options for their regular customers. So Satise a dedicated staff member introduced his inherited flavours of Nepal to the shelves. When friends introduced the flavours to us 5 years ago, Pob the chef and I couldn’t resist the opportunity to create a family business that could sustain our lifestyle and community living in the Northern Rivers of New South Wales. Starting with the Zest Byron Bay Spice Pastes, Pob slowly developed the Curry Blends whilst testing the flavours amongst friends, local retailers and markets until we were ready to dedicate our time to expanding and sharing our gluten free flavours across Australia. Truly Tea Byron Bay has embarked upon a sensory journey to share with you a range of teas to explore and experience for yourself. From native Australian Lemon Myrtle to India’s traditional Masala Chai and on to the highest peaks of Sri Lanka we invite you to embrace our world of flavours – guaranteed to engage your senses. Our love and fascination with the magic of tea has inspired us to hand blend a premium selection of teas such as green tea,black tea, white tea, herbal and iced tea plus a range of organic and health teas all made with real tea leaves, the freshest herbs,plants and fruits, 100% natural and Australian Certified Organic where possible. Maureen simply loves to cook and to share the simple pleasure of good food with family and friends. Along with the love of food, Maureen grows herbs, garlic and fragrant plants. She has always experimented with achieving good flavour by being creative with innovative & interesting combinations. After trialling already loved and favourite recipes Maureen developed a range of products and preserves from the bounty of their garden and sourced other local produce to preserve the season. All the best is a family business located at North Casino.. They honour the farmer and grower and choose Australian produce wherever possible. The preserves are in keeping with the slow food preparation idea and give you fast options to add pizzazz to your food. They have taken all the best recipes from all the best cooks and have created an all the best range of sweet and savoury preserves, relishes, chutneys and flavour infused vinegars. Le Fromage Yard is an authentic fromagerie that moves around markets on the Gold Coast and Brisbane fortnightly. We sells cheeses from all over Europe and Australia. The cheeses are constantly changing to create variety and interest in how cheeses are made and how the difference of each country and their landscape can affect the cheeses. We also offer our products online and have them couriered to a designated address if people are unable to attend markets. Eco Food Boards based in beautiful Byron Bay, has been crafting exquisite food boards from Camphor Laurel timber to liven up each and every dining experience. No two boards are ever the same thanks to the unique hand Mother Nature plays in designing Camphor Laurel trees and you can be assured that each one is a stunning, individual statement piece of art work whether it be a platter, a cheese board or a chopping board. Eco Food Boards are hewn from wood harvested right here in the surrounds of Byron Bay, so you know you are buying an original board from Byron Bay – sourced here, created here, crafted here. 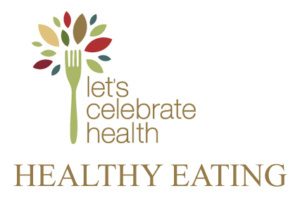 Portia Tresselt of Let’s Celebrate Health is a certified nutritionist and eating psychology coach. 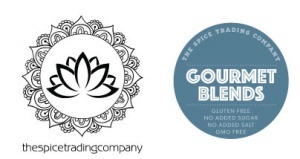 She has created a line of products specialising in gluten, dairy and sugar free, healthy options. You can find her at the local markets and food festivals OR book a session with you to discuss your personal nutrition needs. Promoting locally grown Mountain Blue blueberries & raspberries and sampling dried blueberries. 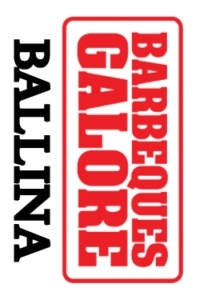 BBQs Galore Ballina have 30 years experience with gas and charcoal bbqs and specialist smokers. Try some of the different flavours from the interesting styles of hot and cold smoking and the rubs and sauces used in the process. Purchase $25 of rubs, sauce or chips on the day and be in the running to win a Weber Q1200 red bbq valued $339. 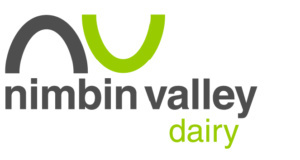 Nimbin Valley Dairy is located just outside Nimbin in the Northern Rivers region of NSW. Kerry and Paul have been farming there for nearly 12 years and making goat and cow milk cheeses and yogurts for about half that time.Both Kerry and Paul grew up on dairies in the region and both come from long lines of dairy farming families, in excess of 5 generations as far as they can trace. Initially they started with goats that had been purchased as weed eaters. They did such a great job of controlling weeds (a constant problem in high rainfall areas with fertile soils) that when a local dairy goat herd came up for sale they bought it, and added it to there existing cow dairy. Initially they started making simple fresh goat cheeses and some marinated cheeses, that are still sold through local farmers markets. Distributors and restaurants were still wanting access to their cheeses so they started making a range of cow milk cheeses. This was the beginning of their White Cow, Smooth Cow, Blue Cow and Washed Cow. In May 2015 they took over Byron Bay Cheese Company and Byron Bay Butter Company. All cheeses are hand made on the farm at Nimbin, using the fresh milk daily to make a wide range of goat and cow cheses, milk and kefir and yogurt. Cheese are distributed from Cairns to Sydney and they attend 9 farmers markets a week. Our business is about more than just selling quality cookware: our goal is to make cooking fun for our customers. We aim to show that by combining our high-quality cooking tools and simple recipes, it is easy (and enjoyable!) to prepare fabulous, healthy meals and achieve authentic flavours without having to reach for a packet or jar. As your consultant, I will visit your home and show you and your friends how to prepare two easy, delicious recipes using our stylish range of knives, cookware, silicone bakeware and utensils. As well as getting to see our products in action and even try them yourself, you’ll pick up some handy cooking tips and hints along the way. Plus, you’ll get to taste the results! Bakarindi Bush Foods was created with passion and commitment by Manda and Ian Gentle to inspire people to respect and love Australian native bush foods. Recipes in the product range were developed by Manda utilising local bush foods to give new and exciting taste sensations that are uniquely Australian. Products range from jams, pickles and chutneys to satay sauce and seasonings. Bakarindi’s Ringa Stinga Relish was an award winning product at Sydney’s Royal Fine Food Show in 2012, our Bakarindi Macadamia Satay and Tomato Relish winning awards in 2013 and 2014 along with our Lilli Pilli Jam, Lemon Myrtle Butter in 2015, Finger Lime Marmalade in 2016 and 2017 saw us take a trifecta with Finger Lime Pickle, Mango Ginger Sauce and Tomato Relish. Bakarindi, the property, is located 30km north of Coffs Harbour at the Back of Corindi hence the name Bakarindi. Most of the bush foods used in the product range are grown on the farm and include Finger Limes, Davidson Plum, Riberries, Lemon and Aniseed Myrtle. Look for us at the Coffs Harbour Growers Market every Thursday, Harbourside Market every Sunday at the Jetty foreshores where we can talk to and explain the benefits of eating native foods. 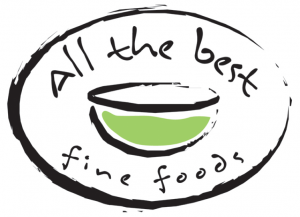 Our products contain NO artificial colourings, flavours or preservatives.